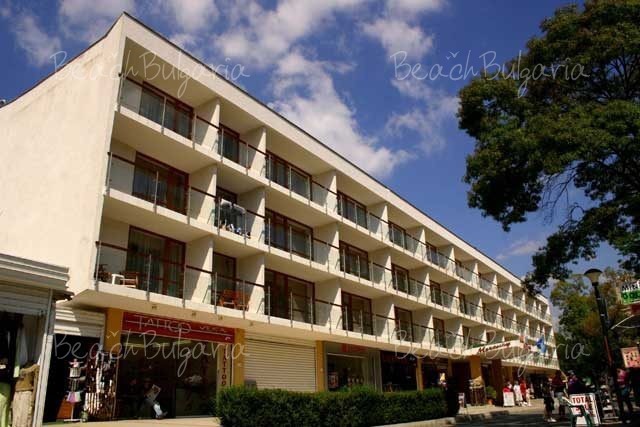 Mercury hotel is located 80 m from the beach, in a calm area, known as the Alley of arts, in the heart of Sunny Beach resort, close to shops, restaurants and bars. The hotel features 120 spacious rooms and 10 one-bedroom suites. The guestrooms feature individual AC, radio, Satellite TV, telephone, hairdryer, emergency call phone, shower and bathtub in the bathroom, a balcony with table and two chairs. 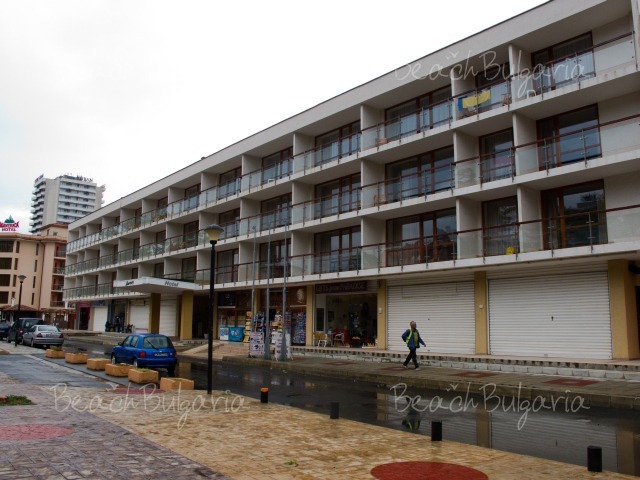 Maximum accommodation in a single room – 1 adult, in a double room – 2 adults and 2 children or 3 adults or 1 adult with 2 children, in a one-bedroom suites – 4 adults. 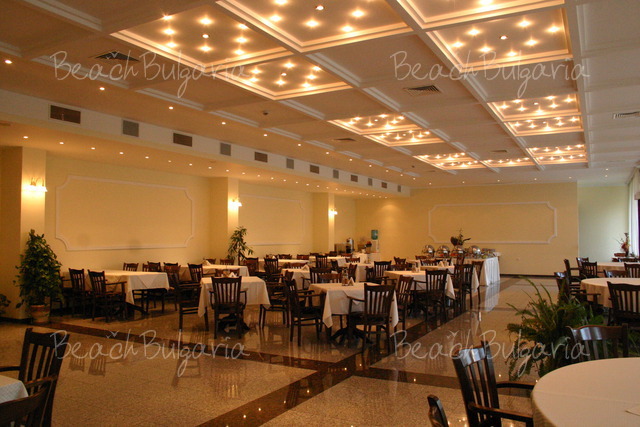 The restaurant with 200 seats offers Bulgarian and international dishes, spacious terrace, no smoking hall. 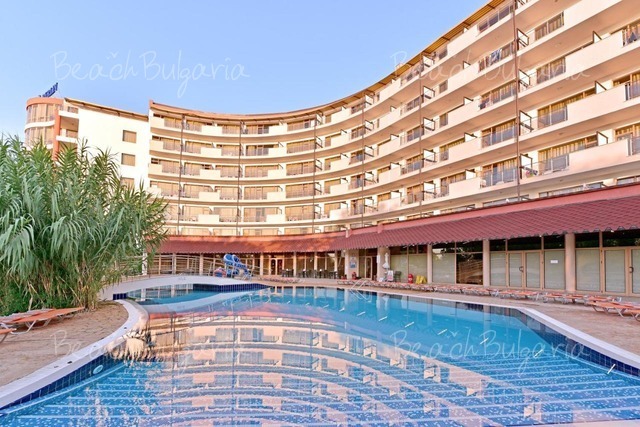 The hotel offers a swimming pool with children section, fitness, free of charge guarded parking. 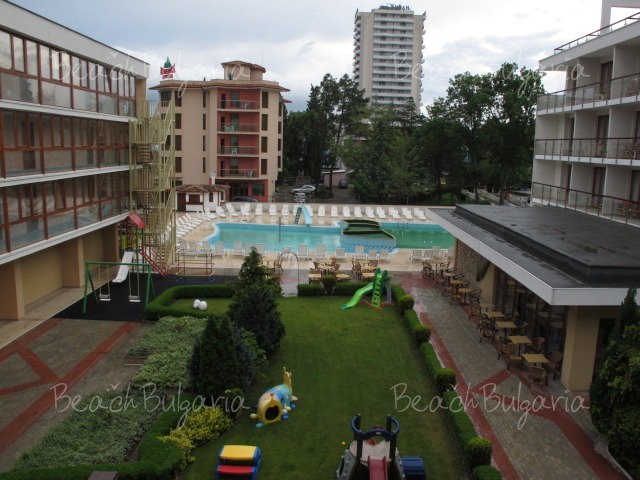 playground near the pool, mini club for children from 4 to 12 years old, kids corner, mini disco club 6 times per week. 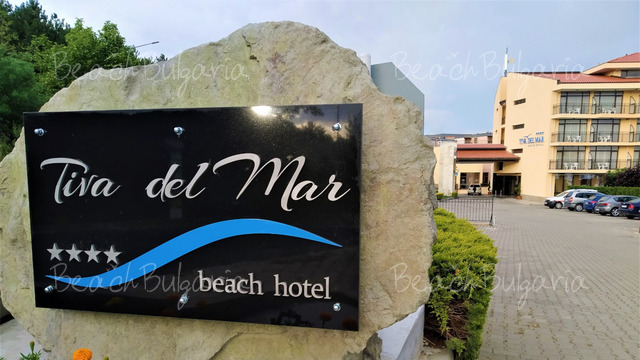 * All prices are in EUR, per night, per room, all inclusive. 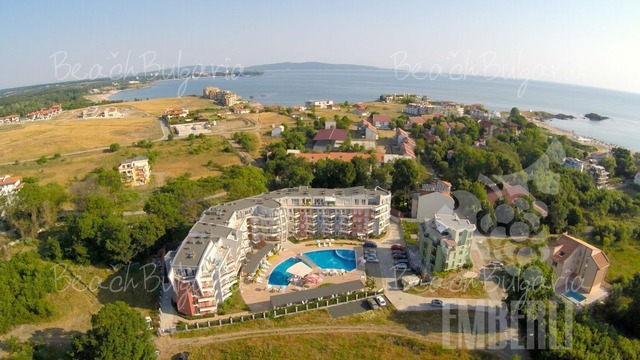 Swimming pool, fitness, parasole and sunbed near the pool are included in the price. * Cancellations can be made free of charge providing details of this are received at least 7 days prior to check-in time on the day of arrival and 10 days during 05 July - 25 August 2019 - cancellations made after this period will incur a fee equivalent to the cost of 2 night's accommodation. Please, post a comment on Mercury Hotel. - 7=6, 14=12 for arrivals during the period 24 May - 05 June 2019 and 09 Sept - 30 Sept 2019.